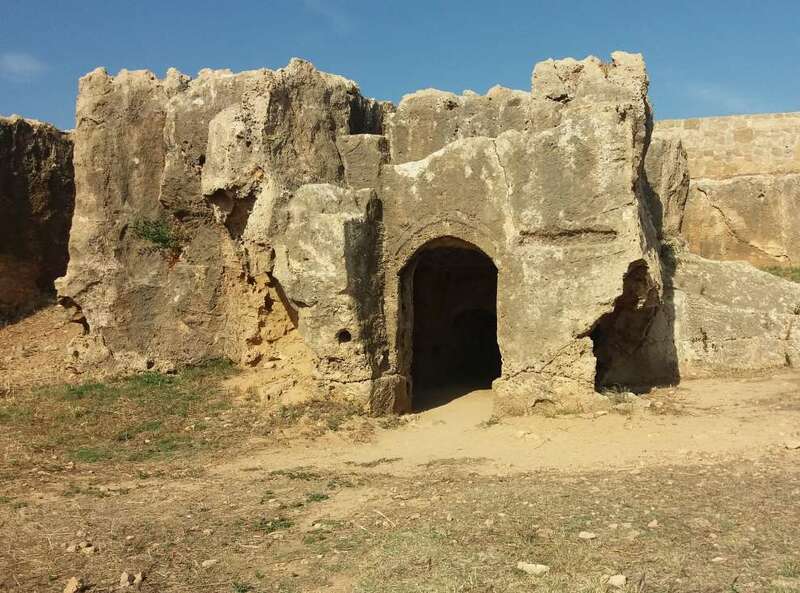 The necropolis of Nea Pafos is located in the northern and eastern parts of the city. Archaeological finds indicate that it was used from the Hellenistic to the Roman era (2nd BC - 2nd century AD). The northern part of the necropolis, known as the "Tombs of the Kings". 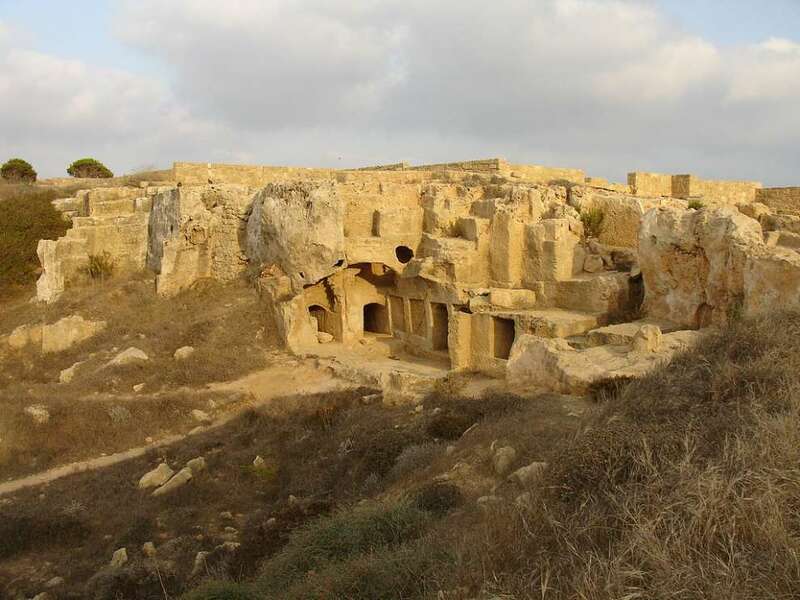 The Tombs of the Kings are part of the Archaeological Park of Kato Pafos and it is one of the most important archaeological sites of Cyprus, which has been included in the UNESCO World Heritage List since 1980. 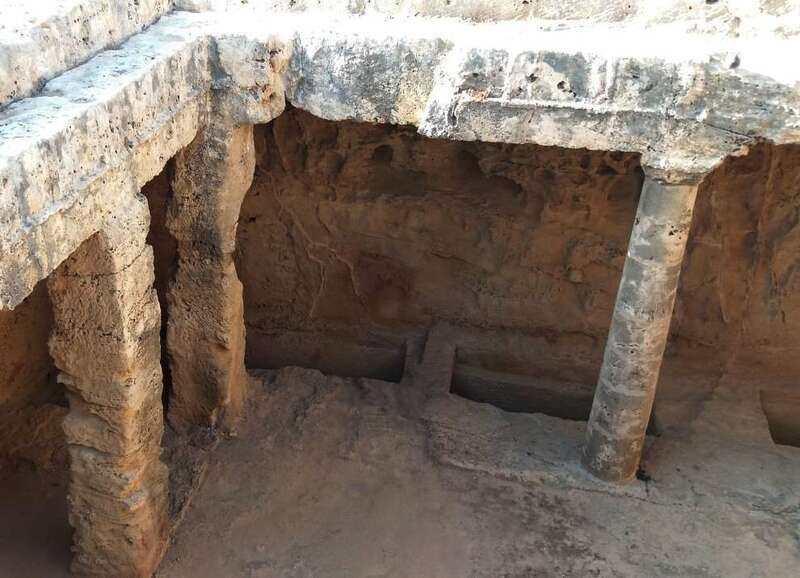 These graves, which have an area of 1.2 square kilometers, seem to be a burial site for members of the political and administrative elite of the capital of Cyprus under the Ptolemaic state. Their name is due to the majesty of the Doric columns with which they are decorated. The excavations of the area began in 1915-16, continued from 1937 to 1951, and after 1977 began a more systematic excavation survey of the necropolis, which lasted until 1990. According to the archaeological finds, they seem to have been used by the early Christians and after their modification were once again used by cavemen in the Middle Ages. Some of the tombs are plain slab dyed in the rock, other chambers consisting of two burial chambers and others with a peristyle atrium consisting of an underground open courtyard carved into the rock. The last ones resemble the houses of the living and are similar to the Ptolemaic necropolis of Mustafa Pasia in Alexandria, which proves the close relations between the two cities during the Hellenistic Period. Operation Period: The whole year. Closed December 25, January 1st and Easter Sunday. For groups of more than 10 people, there is a 20% discount in the entry price. 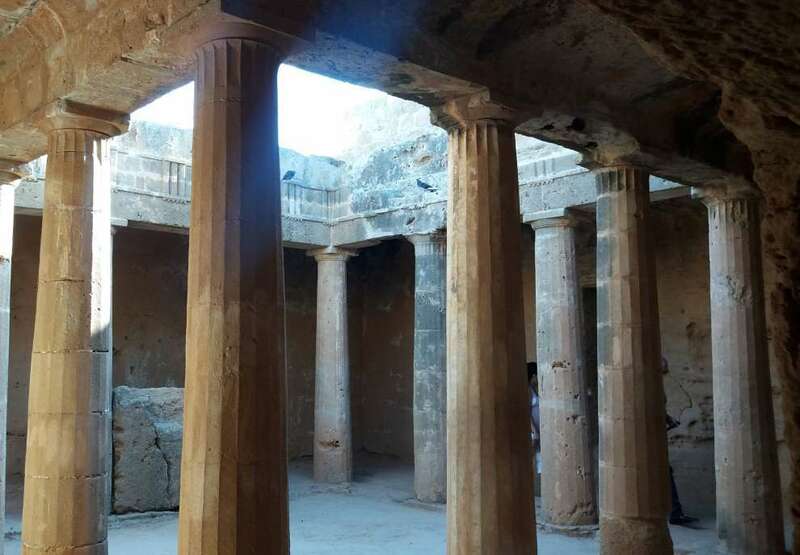 The Department of Antiquities can issue special entrance cards for all museums and ancient monuments: (1) One-day card - € 8,50, three-day card (3) - € 17,00, seven-day card - € 25,00. Disabled Access: Partially accessible for wheelchair users. Working hours and entry price are subject to change without notice. Visitors would have been more likely to confirm them before visiting.